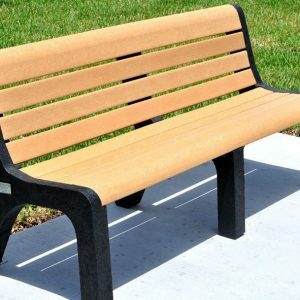 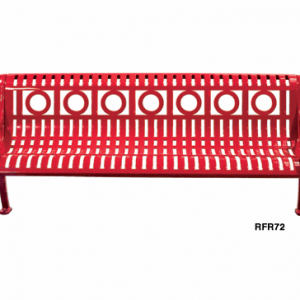 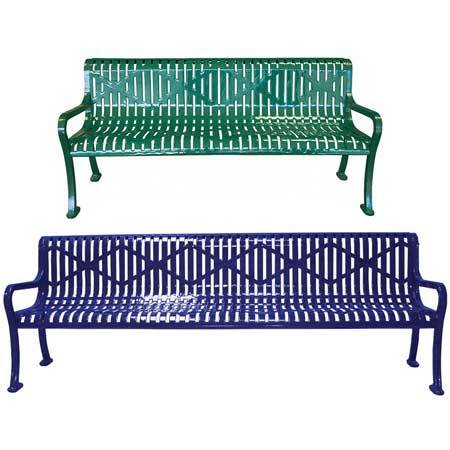 This Roll Diamond Metal park bench is well suited for all weather conditions and comes with a thermoplastic coating to prevent rust and deterioration over time. 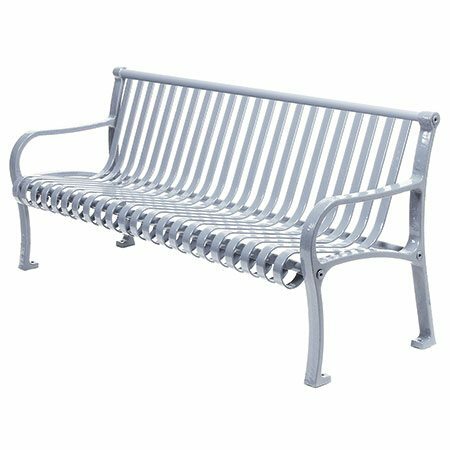 This metal park bench has diamond pattern steel construction and cast iron legs making it a sturdy and durable long-term seating solution. 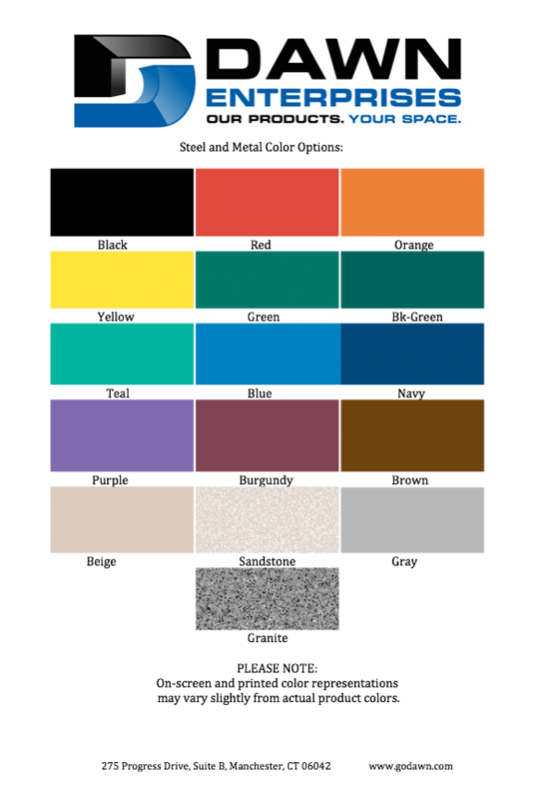 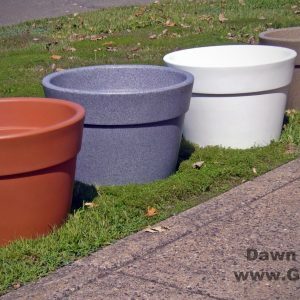 Available in 4′, 6′, and 8′; lengths and a variety of colors to match your design needs.